A comedy adventure with a sprawling story and colorful cast. Betty Anderson can’t remember who she is, but she has bigger worries—like a doomsday plot threatening to wipe out the human race. Join Betty to crack the conspiracy that starts with a bang and ends at 3 Minutes to Midnight. 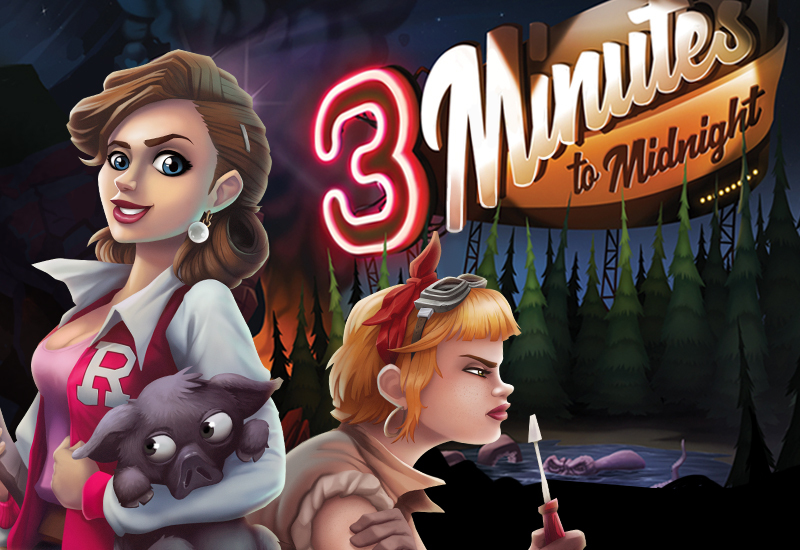 Inspired by LucasArts adventures like The Secret of Monkey Island, Day of the Tentacle, and Sam & Max Hit the Road, 3 Minutes to Midnight combines the point & click gameplay and absurdist humor of the “good old days” with high-def cartoon art, an intuitive interface, and a compelling mystery. Play as both Betty and Mayor Eliza Barret to unravel a plot much deeper and darker than it seems at first glance.